The so-called Israel Lands Administration (ILA) and Israeli Planning and Building Committee in Tel Aviv endorsed a huge Judaization and settlement scheme which will be established on the ruins of the Palestinian homes and lands in Nozha neighborhood in Jaffa. The first phase of the scheme includes building 1500 settlement units on 200 acres over a period of 3 years and will be allocated to the rich Jews. ILA claims that the Palestinian residents who live in this area will be expelled under pretext that these lands are “state owned” and that the Palestinians are illegally living in them and they will be compensated if they agree to leave. Abdul-Qadir Satal, head of the Popular Committee in Jaffa, told Quds Press that this settlement project is part of the Israeli government policy to Judaize the city, and it aims to build 5000 settlement units and not only 1500 settlement units as declared. He clarified that this malicious scheme complements previous Israeli Judaization schemes. Satal added: "The residents of Nozha neighborhood are being subjected to displacement for the third time; as they were expelled to Ajmi neighborhood after destroying about 3000 homes so as to build homes for the Jewish settlers, then they were forcibly displaced to Nozha neighborhood and now they are being displaced again but this time they don't know where to go." Satal pointed to the fact that the Palestinians in Jaffa are living in their homes as protected tenants; meaning that the authorities have the right to 60 percent of the home and only 40 percent of the home is for the Palestinian families. Moreover, the lands are owned by ILA and it has the right to dispose of them at any time against payment of compensation to the residents on the grounds that these properties are not owned by the Arabs who live in them but rather by the ILA under the Absentee Property Law. 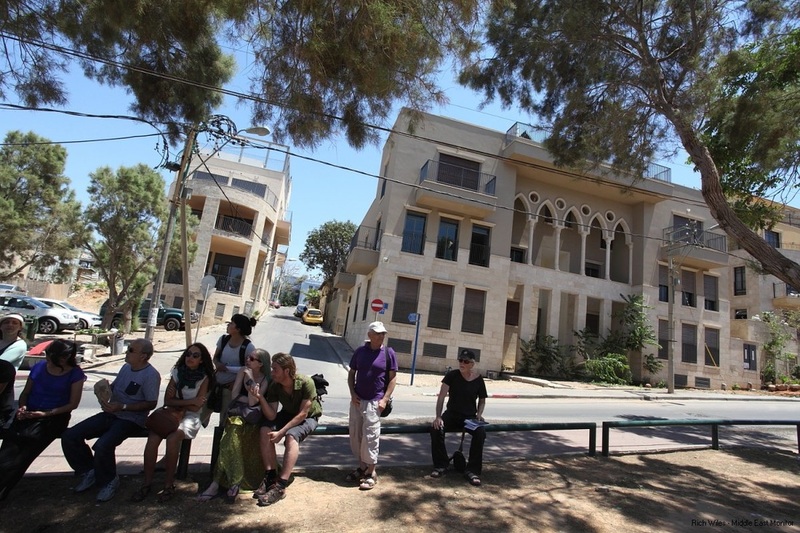 Satal stressed that the situation in Jaffa in critical; as the number of Palestinians is decreasing while the number of the Jewish settlers is increasing on daily basis, and the Palestinians in Jaffa, who insist to stay in their lands, have sought support from the Palestinian institutions, associations, and committees abroad to face the ongoing Israeli schemes which target the city and provide alternatives to the Palestinian residents so that they would abandon the city. "We've dismissed the last employee in the Popular Committee due to the lack of financial resources, so now there is no one in the Committee to follow up on the cases that need urgent attention," Satal said. Satal said that Palestinian notables in Jaffa city will hold a meeting soon to come up with a plan to face this scheme, and expressed his fear that the constant harassment the Palestinians in Jaffa are suffering from may force some of them to consider leaving the city, which is "a grave danger that we've been trying to prevent for many years." Resheq: Israel's settlement plan in Jaffa "ethnic cleansing"
Member of Hamas's political bureau Ezzat al-Resheq strongly denounced Israel's new settlement project in a Palestinian neighborhood in occupied Jaffa and described it as ethnic cleansing. "The settlement project to be carried out on the ruins of Palestinian homes in Nozha neighborhood is new ethnic cleansing and mass displacement of its residents," Resheq stated on his Facebook page. 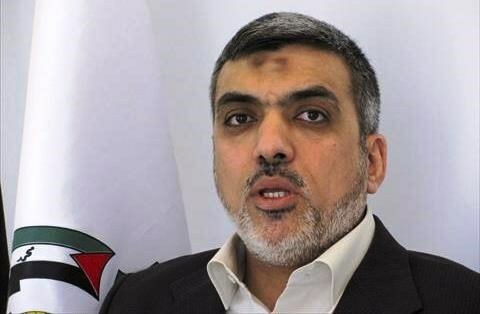 The Hamas official emphasized that only a unified national struggle project can defend the Palestinian land and rights, and confront Israel's settlement plans in all occupied territories. "Since the occupation of Jaffa city in 1948, the displacement plans have not stopped and the occupation has persisted in its terrorism, but the will of the Palestinian people and their steadfastness on their land will triumph even after a while," he said. Jerusalem Mayor Nir Barakat claimed that there are nearly 20,000 homes built without licences or permits in East Jerusalem and threatened them with demolition. In a statement yesterday, Barakat added: "A number of homes and buildings are being demolished in West Jerusalem. The number of the homes demolished in West Jerusalem is actually double the number in East Jerusalem." Additionally, Barakat denied "the intention of the mayor's office and the Israeli Ministry of Education to impose and implement Zionist curriculums in East Jerusalem schools." He added: "I would like to stress that the Israeli education plan is not obligatory and will not be imposed on anyone. No one in Jerusalem will be taught a curriculum they do not want to study and they have the right to learn the curriculum they want. Students have the freedom to choose the curriculum they want to learn." Research on historical Palestinian and Zionist documents has shed new light on the details of the Nakba, when 750,000 Palestinians were driven by the homes in 1948. According to Hossam Shaker, who is leading the research team looking at the documents, they reveal the deliberate policy adopted by the nascent state of Israel to prevent Palestinian refugees from returning to their homes. Shaker issued a number of press statements to explain the details of the find. 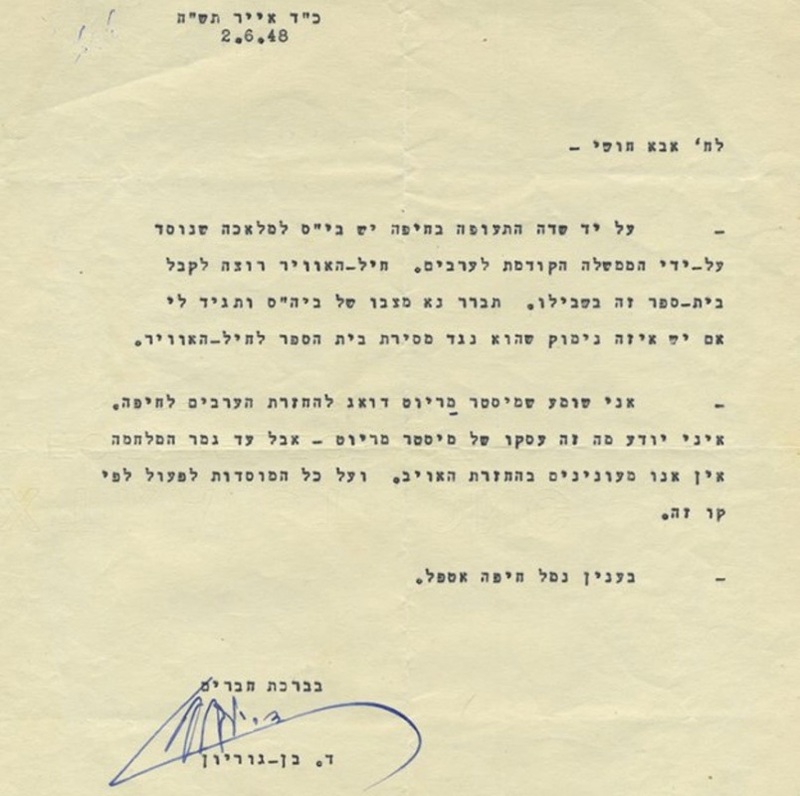 One letter signed by the first Israeli Prime Minister, David Ben-Gurion, supports the conclusions reached by a number of historians, especially regarding the policy of preventing Palestinian refugees from returning to their homes, adopted by Israeli forces during and immediately after the 1948 war. The typewritten document signed by Ben-Gurion and dated 2 June, 1948 is written in Hebrew. 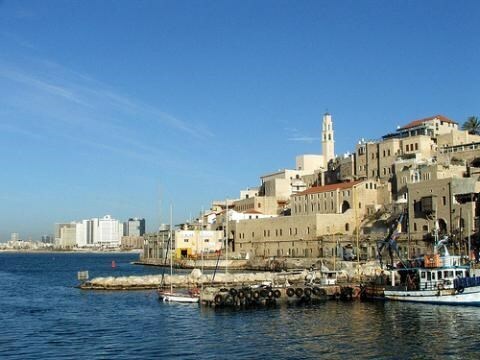 It confirms the order to prevent Arab residents of Haifa from returning to the city. "Until the war ends," Ben-Gurion stresses, "we are not concerned with the return of the enemy and all institutions must act accordingly." "The document also sheds more light on Britain's role, after the end of the mandate, as it refers to Cyril Marriott, the British Consul-General in Haifa," Shaker pointed out. The expert analyst suggested that internet leaks alone are enough to prompt demands for investigations into Zionist and Israeli documents that are hidden or kept in the archives, or are owned by individuals and organisations. The Ben-Gurion letter is being auctioned off on 3 June and, said Shaker, "It reveals the details of the roles of Israeli institutions in creating the Nakba, especially since it is written to Aba Houshi, head of the Haifa Workers' Council." 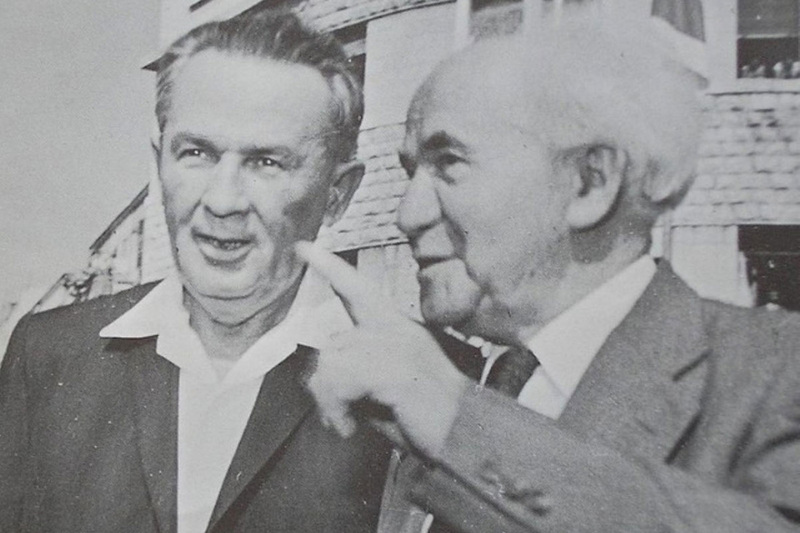 Houshi became Mayor of Haifa in 1948. 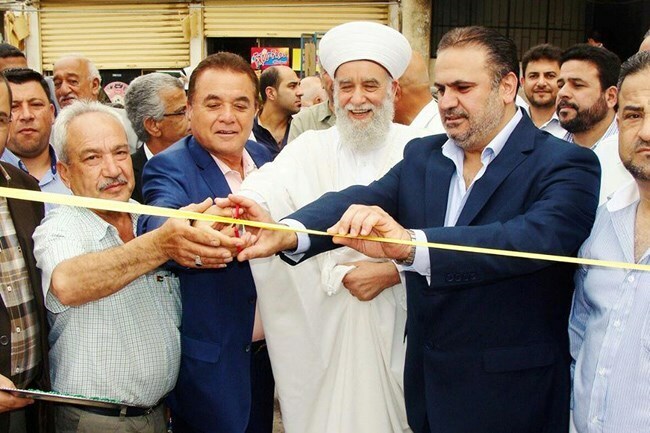 The Hamas Movement in Lebanon on Sunday opened a Palestinian heritage exhibition in Wadi Zaineh area of Siblin town on the occasion of the 67th anniversary of the Nakba. In a press release, the Movement stated that the exhibition was organized under the auspices of Siblin mayor Mohamed Qawber. The exhibition included several activities and display areas for traditional attire, artifacts, handicrafts, photos, pictures, and various exhibits that reflected the Palestinian cultural heritage and folklore. Palestinian and Lebanese political figures and dignitaries as well as citizens attended the event. Some 200 Israeli Arabs mark Palestinian day of 'catastrophe' in 1948; 'recognizing the Nakba is the only way to resolve conflict,' says student. Right-wing activists demonstrated against a ceremony at Tel Aviv University on Wednesday marking the Nakba, the day in which the Palestinians remember the "catastrophe" that led to the formation of the State of Israel and the exile of Palestinian refugees. Some 200 Israeli Arabs and Hadash activists organized the ceremony, that took place outside the university's main gate. 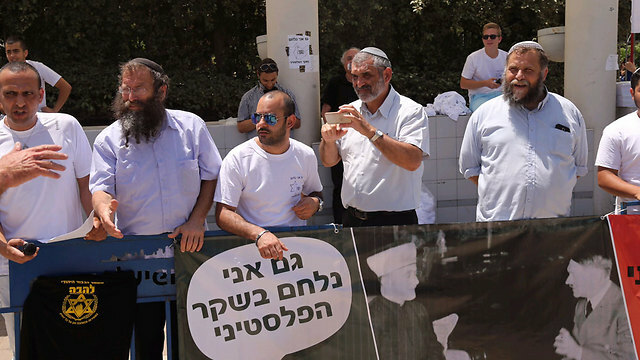 The protest was organized by right-wing organizations Im Tirtzu (whose goal is to strengthen and promote "Zionist values" throughout Israel), Lehava (Organization for Prevention of Assimilation in the Holy Land) and Fighting the Palestinian Lie. Large police forces separated the two sides. Two people were detained by police after a right wing activist allegedly tried to take down the Palestinian flag flown during the ceremony, while an activist from the Nakba Day ceremony allegedly tried to take down a flag flown by the right-wing activists. Fares Agrabiya, an accounting student who participated in the Nakba Day ceremony, said: "Recognizing the Nakba is the only way to solve the existing conflict and achieve peace in the future. In the ceremony, we sent a message to both Arab and Jewish students that there was a people living here in the past, and the land was not empty. We note the desire to bring back the refugees and those are important conditions to solving the conflict. Our ceremony was done without noise or shouting. Those who are weak are the ones always shouting." The head of the Joint Arab Party, MK Ayman Odeh, said: "You can argue over all kinds of issues, but humanly speaking, you can't argue with the fact that the Palestinian people paid the heaviest price. The new state did not allow those who were exiled return. We ask to recognize the historical wrong and work to fix it without wronging others. This is our right." Oren Halfon, the head of the Im Tirtzu faction at Tel Aviv University, described the Nakba Day ceremony as a "radical left-wing protest." "Like every year, the radical left seeks to undermine the basis of our existence in the country, to claim the state was formed in sin after murder and exile, and to deny that the Arabs are the ones who attacked and wanted to commit a second Holocaust. We will fight for the truth." Right-wing activist Baruch Marzel also attended the protest, saying "there used to be an Arab village here and now there is a university. All of the bleeding heart leftists who preach at me and tell me not to live in Hebron - they can stay here, but shut up." Meretz activists were also present in protest against the right-wing demonstrators. In the 1940's, millions of crates of Jaffa's oranges were being transported around the world as the city boomed. The city was the hub of cultural life in Palestine and home to several newspapers and cinemas. By late 1947 approximately 100,000 people are estimated to have been living in the city. Only one year later that number had dropped by more than 95 per cent - only 4,000 Palestinians remained in Jaffa after the Zionist attacks on the city. Those who did mange to stay, were forced in to "Al-Ajami ghetto" - a Palestinian neighbourhood that was turned into an open air prison surrounded by barbed wire fences and guarded by Zionist militias. After Palestinians were forced in to Al-Ajami ghetto, their houses were then appropriated by the state under the "Absentee Property Law". In some cases, these houses were then leased back to Palestinians after they had finally been allowed to leave the ghetto. Some 67 years later, this ongoing process of displacement and the erasure of the city's Palestinian identity continues. 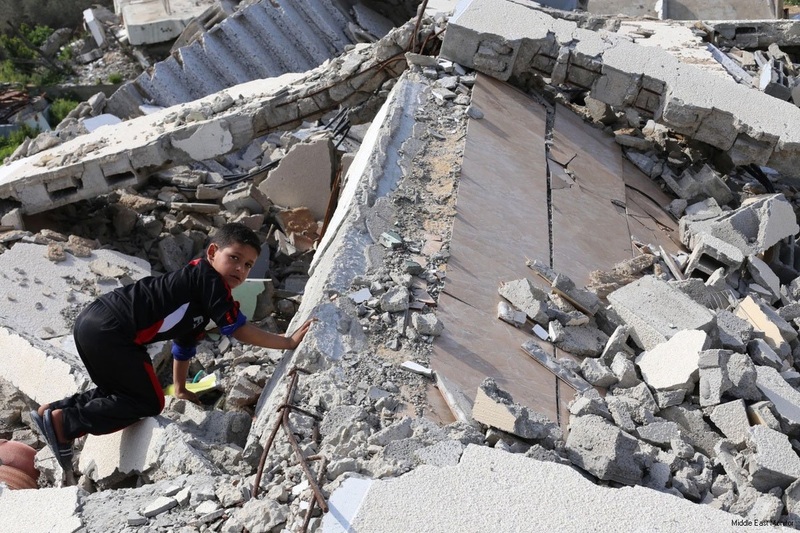 Under various pretexts, Palestinians are being displaced from the city as original houses are being demolished and replaced with luxury Israeli developments which have become amongst the most expensive real estate in today's State of Israel. Walking around southern Tel Aviv and Jaffa today boundaries have been purposely blurred and a visual understanding of the areas Palestinian history becomes confused. However, extensive research has been carried out by Palestinian and Israeli activists including many interviews with Nakba survivors both within the city and scattered around refugee camps and other places of exile where they now live. This has been done to unmask the area's true history and within the much wider work demanding the right of return for Palestinian refugees. Over the course of three days to mark Nakba Day, a wide range of events were implemented in this context by activists in the city. These events, including walking and boat tours and cultural events revealed something of what the Zionist movement continues to attempt to erase. Jaffa was the heart of Palestine until the Nakba, and today it still remains deeply etched in the hearts of Palestinians around the world.